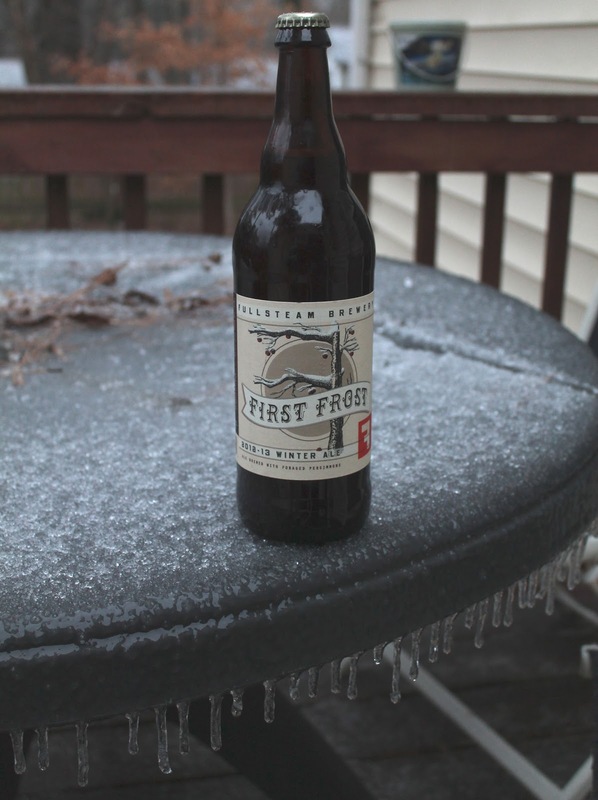 Skinny Jeans & a Chai Latte: Food & Beer Friday :: Frosty local. I realized I really haven't chosen many local brews for you. While many of you may not be NC locals, our state is saturated with breweries and more are continually popping up! Today's beer comes from a cool brewery right outside of Raleigh. Fullsteam Brewery is a pretty cool spot in Durham, NC. I knew I had to have this beer since we've had the first round of really cold weather we've had in a while over the past two weeks. First Frost is a winter ale brewed with persimmons. I'm not sure about you, but I had no clue what persimmons were. Apparently, they are the "fruit of the gods" that have natural notes of cinnamon and apricots. 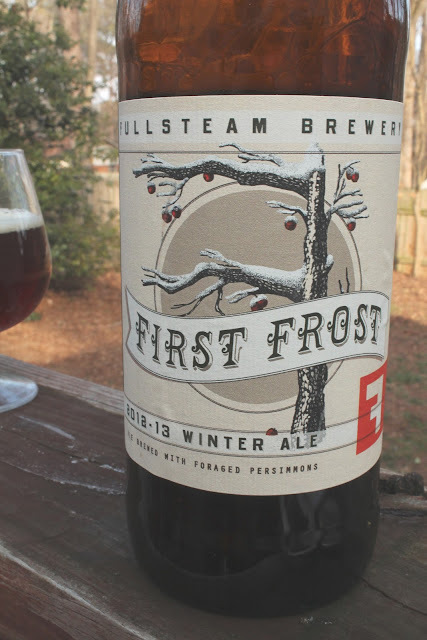 Fullsteam collected North Carolina persimmons, before the "first frost," to brew this beer. The color of this beer is a beautiful dark amber. At 10 percent alcohol and in a big bottle, I had high expectations for this beer. The final result: too sweet. The fruit sugars likely amp up the alcohol content, but they also rack up the sweet flavor. It's definitely more malty than hoppy. I drank a decent amount of this beer (split with D who also agreed it was too sweet), but I wouldn't buy it again. It's not the same kind of sweetness that you get from a stout (like this one)...almost a bitter sweetness if that makes sense? Do I hate that I tried this beer? No way! 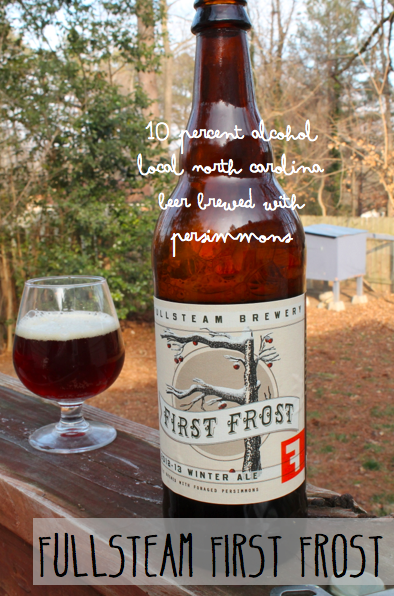 From NC and interested in other Fullsteam beers? I'd recommend the Summer Basil and the Working Man's Lunch. Hm. I hate sweet beers. The photos of it look sooo delicious and fulfilling on a frosty winter day! That's too bad! I love local beers!!! I really do love sweet beers though. As long as they don't taste fake.